Success under pressure will help you take the next step up the ladder within your organization. 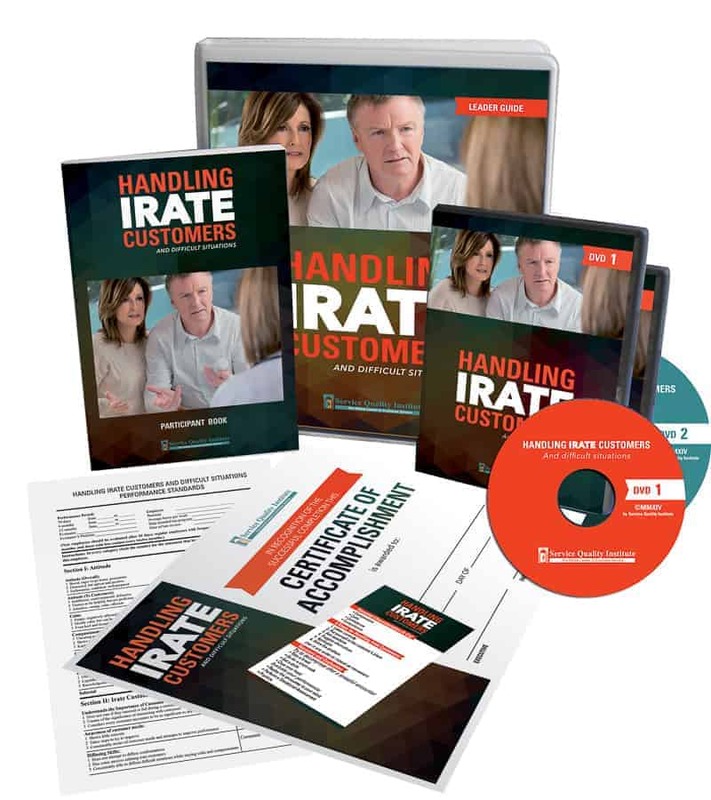 Dealing with irate customers is one of the most pressure-packed experiences you will ever encounter on any job.Remember… difficult situations can go from bad to worse in a hurry. A user-friendly 140 page count page Leader Guide and a set of 2 DVDs for a leader (facilitator) to train a group of participants and 25 participant kits. Implemented in 2 sessions, spaced one week apart of 3 hours each. Ask questions and actively listen to the answers. Use closed-ended questions to elicit a yes/no, or other one-word answer because you get raw information, rather than feelings or emotions. Suggest alternatives that address their concerns, and always do so with sincere empathy. Apologize without laying blame for it might not be your fault.